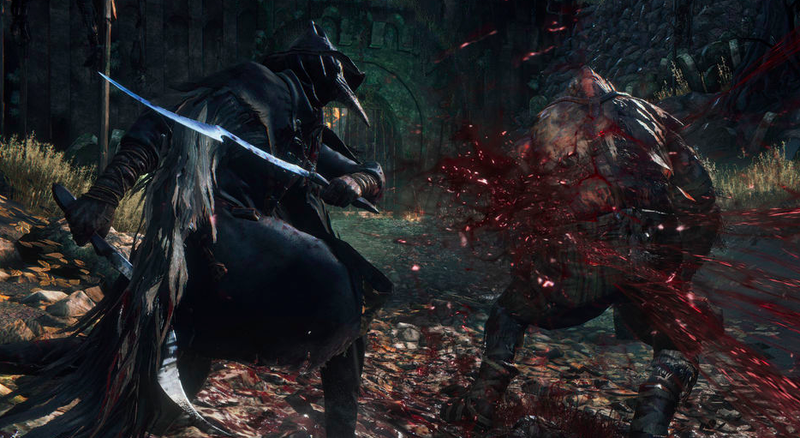 Have you ever wondered about the origin of the healing blood in Bloodborne? Someone has a theory, and it’s kind of gross. It also makes a lot of sense. As those of you that are playing Bloodborne know, blood is the cornerstone of all society in Yharnam. People drink blood for healing purposes. They also drink it recreationally, so much so that blood is more popular than alcohol. In essence, the people of Bloodborne are like vampires. They’re all thirsty as hell for that blood—literally. Special blood vials in the game all come from women, such as Arianna, Iosefka, and Sister Adella. We also know that the Healing Church chooses specific women to be “vessels for blood” and are “groomed as Blood Saints.” We also know that the person who introduced the entire concept of drinking blood to Yharnam is a lady—the Queen of the Pthumerians. One of these women, Arianna, does not give you any more blood when she becomes pregnant. Furthermore, it’s worth considering that the old lady that you can bring to the church does not give you blood. Menopause? The game loves to use concepts relating to the moon and cycles. One of Bloodborne’s important locations is called “The Nightmare of Mensis.” There is also a boss called “Brain of Mensis” (which you have to defeat in order to get an item called ‘Blood Rock.’) There is also an item called “Mensis Cage,” which is used as an antenna that facilitates contact with the Great Ones. Mensis is very similar to the word “menses,” which is Latin for, well, menstruation. The word also has close ties with the concept of the moon. Obviously, this is but a theory/interpretation, and a kind of silly one at that. But given how fixated the game is on the horrors of pregnancy and birth, the idea that maybe the blood vials are menstrual blood isn’t so outlandish. It wouldn’t even be the most disgusting thing in the game, either. Still, I will indulge my more childish side here: eww.